Email marketing plays a significant role for successful webinars. It starts with a cadence of promotions that reliably drives registration to your content. 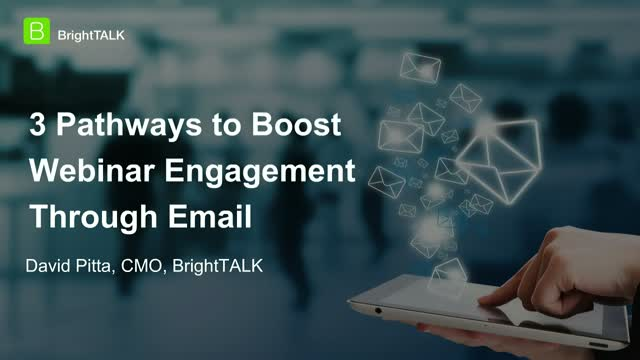 Next comes a series of transactional emails designed to deliver an engaged audience at the pace and scale of your webinar programs. Post event allows you to create pathways for your audience to explore additional content and your products, while also coordinating with qualification teams on direct outreach strategies. We’ll share learnings from 10+ million data points on what's working with email at scale. This webinar is planned for 30 minutes of sharing and then will open to a question & answer session.